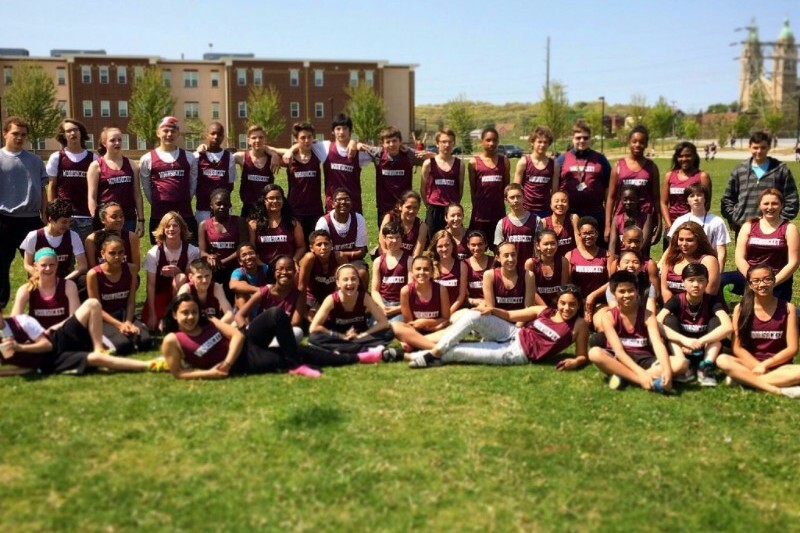 Over 60 kids are running hard, jumping high, and throwing far in the 3rd year of our Woonsocket track & field program! We’re already 3 weeks into the program and we have a good mix of seasoned veterans and fresh faces. The athletes are working hard in preparation for their first track meet on Monday, April 10 at Dionne Field in Woonsocket with an ultimate goal of qualifying for the Rhode Island Middle School State Championships that will be held on May 19, 2017 at Narragansett High School. Let’s Go Novans! The USATF Indoor Championships in early March were a fantastic experience for Steve Mangan and Ryan Widzgowski. Ryan finished 14th overall in the 1000m in a time of 2:25.77. This was his first trip to a US National Championship and he represented us admirably! Steve finished 8th in the 1 Mile in a time of 4:09.88, facing 4 Olympians in the field. After a slow start to the season for Steve, that’s not a bad way to finish! As one of the USATF-NE featured athletes, he had the following to say about his race. Next up is the Sam Howell Invite at Princeton today, April 7th for Henry Sterling’s opening steeple of the season, followed by a big crew of our athletes at the Ocean State Invite at Providence College on April 15th. The team is carrying a lot of momentum from the winter season, so if you are in the area and can make it next Saturday over to PC’s track, it will be fun to watch!